Pinned to a bulletin board in the corner of Emily Evitt’s office is a photograph of her at age one, wearing little plaid overalls, crayon in hand, reading Black’s Law Dictionary. Emily is a third-generation attorney, following in the footsteps of her parents and grandfather. Her mother runs the moot court program at Stanford Law School, and when Emily was younger, she spent her free time playing bailiff. The law has always been in her blood. But while Emily’s path to becoming a lawyer was rooted in her family history, her practice focuses on the new and the next. As she likes to say, “technology is always moving faster than the law.” In her cyberlaw practice, Emily applies old law to new technology, evaluates whether existing statutes govern, and determines whether new law needs to be created. Emily also embraces the new in her startup practice, which focuses on counseling emerging companies on intellectual property strategy. Emily’s passion for combining the old and the new extends beyond the office, where she frequently does the ancient practice of yoga … set to hip-hop and pop music. Whether on her mat or at the office, she demonstrates strength, flexibility, and creativity. Emily is an experienced intellectual property litigator who works with film and television studios, record companies, music publishing companies, video game companies, and other major online content providers. She defends her clients against copyright and trademark infringement allegations, and also brings actions to enforce their rights. In addition to copyright and trademark, Emily also practices in related areas of law relevant to her entertainment and technology clients, such as idea submission/breach of implied contract, right of publicity, First Amendment, and state free speech law, including the California “anti-SLAPP” statute. Many of Emily’s clients rely on online distribution of their content or are faced with threats of Internet piracy. Emily protects clients from online theft of their copyrighted content and “cybersquatting” on their trademarks. Emily is well versed in the Digital Millennium Copyright Act (“DMCA”) and the Communications Decency Act (“CDA”). Emily is a founding member of her law firm’s interdisciplinary startup practice, Start 'N Knupp, which provides clients with corporate, intellectual property, labor and employment, and immigration advice. She has written and spoken about intellectual property issues facing emerging companies. 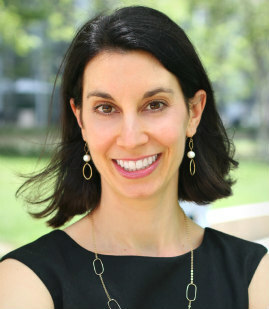 Emily served as the second-chair attorney for a three-week business litigation trial. She has won numerous cases on summary judgment. Won summary judgment on behalf of Lightstorm Entertainment and James Cameron in breach of contract case involving the film Avatar; ruling was affirmed by the California Court of Appeal. Won summary judgment on behalf of Sony Pictures Television, The CW Network, MTV, Fly On The Wall Entertainment, and individual defendants in copyright case involving reality television show. Represented all major record labels in precedent-setting litigation against SiriusXM and Pandora concerning whether there exists a public performance right in Pre-72 sound recordings; the record labels received publicly-disclosed multi-million dollar settlements in both cases. Won summary judgment in case where protestors claimed they had free speech rights to demonstrate on client’s private property. Obtained dismissal under California’s anti-SLAPP statute of complaint against the Motion Picture Association of America for libel and related torts; decision was affirmed by the California Court of Appeal. Won transfer of multiple domain names under the Uniform Domain Name Dispute Resolution Policy. Served as second chair for three-week business litigation trial. Represented music publishing companies and artists in copyright infringement litigation. Represented major online content provider in cybersquatting litigation.